“I finally received the good news…..it was a pass! Your coaching taught me two skills which I believe separated me from others that interviewed. 1) the ability to concisely and directly explain why I want to be and FBI agent and how to better sell myself. www.fbiinterviewcoach.com – learning to “morph” a story is an important part of the program. Not all stories end with a success, but all stories should have an ending – the results. Third party endorsement is a great way to “brag” about yourself – indirectly. This means saying something through someone else’s words. IF YOU DON’T PASS THE PHASE TWO INTERVIEW PROCESS – YOU WILL HAVE TO WAIT A YEAR TO REAPPLY. A year can feel like a very long time if you’re waiting for something that you want NOW. 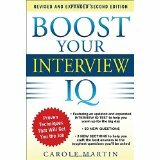 “Boost Your Interview IQ” by Carole Martin provides you with the essential skills and techniques you need to apply in any real life interviewing scenario. If you are truly interested in exploring the fundamentals and learning the essentials of job interviewing, then this book will be an important guide. Before I read Carole Martin’s book, I must admit that I was lost when it came to interviews. As a young lawyer with three years of experience in my field, I truly thought that I knew everything it took to effectively express myself and market my skills to a potential employer. 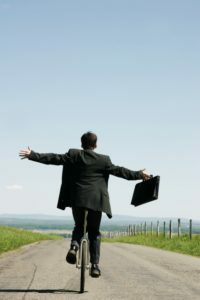 I had conducted countless client interviews myself, and so I thought I had most question and answer techniques down to a science. But when I flunked my first major interview for a dream job with a prestigious employer, I realized that I needed help from an expert. In hindsight, I wish I had sought out this information earlier. Perhaps because I was too accustomed to being sought out by others as an expert in my own field of law that I did not realize I needed an expert’s advice on basic interview techniques. The biggest advantage you helped me with was talking to the agents as if they are co-workers because they are! There was an immediate connection once I told them that I was already on board and I had them laughing a couple times with my stories. It made me feel relaxed and confident about how I did. Once again, thank you for all of your help! I couldn’t have done it without you. Thank you for all your encouragement and wisdom. Your stories made me realize I could succeed no matter what circumstance I was going through. I am looking forward to our new beginning. The interviewer did ask me; why I want to work for “the Agency,” and why am I wanted to relocate. My answers that we had covered – flowed. There were some situational questions, as well as some questions about my technical expertise and what my strengths were. All the questions we worked on together. You have a true gift, you understood my situation and gave me the tools I needed in such a short amount of time. I listened to our recordings and knew I had to step up the excitement in my tone and I felt better overall after hearing myself. I cannot thank you enough and want to continue to prepare myself for future interviews by continuing to work with you. Tips on how to interview and feel relaxed. Special Agent Success Stories of the Week! I just found out that I passed Phase II! Thank you for your help. I learned such an incredible amount about interviewing through our work together. I wouldn’t want to know what the outcome would have been if I hadn’t worked with you. Having my stories down and in the SAR format was the key. I will recommend you to all applicants! I am reaching out to let you know that your help was priceless. We worked together briefly and crammed. I was confident until I got to the interview and realized that everyone there was really nervous. I felt that I was able to incorporate them in my stories and I passed! Now you can add me to the list of people who will recommend your coaching. Just wanted to let you know that I passed and I am so glad that I decided to go with your interview package. 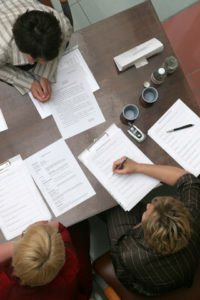 When I asked the other people interviewing with me what they did to prepare, most said they just reviewed their resume. When I walked in there I was nervous, but when I walked out I was confident with my responses . I was able to give quick responses on 10 of the questions because of the preparation I did with you. I think the most important thing going in is to not just focus on work related answers, they want to get to know the real you. They want to know the struggles that have made you into the person you are today and how those struggles have made you resilient. Add me to your long list of satisfied customers because I passed! I won’t get into the specifics, but literally everything you told me during our sessions was 100% accurate. If your future clients are serious about passing this test then they need to read through all the resources you provide, carefully craft good stories, and listen to every piece of advice you give. They will be doing themselves a huge disservice by going against your suggestions. I just found out the good news that I passed the interview/written exam! Thank you so much for your help with my preparation. I am very glad I chose to hire you to work with me. Not a doubt in my mind that it helped me immensely. I felt confident with my stories and had a list of them in my head, so walking into the room I felt more at ease. I felt really good about it leaving the room overall though because although I stuck to work stories, they were varied and I felt at ease enough that I think they got to know me. I passed my phase 2!!! Your time was certainly helpful. My interview was pretty laid back. I had the panel laughing from the get go when I told them about the TERRIBLE dream I had about my interview the night before. Answering every question is important. I had to spend quite a bit of time on one question, but I had plenty of time leftover at the end to come up with someone. Anyway, I can’t stress how much I appreciate your help! I am fortunate to say that your work with me is done! Take care and THANK YOU! Within a few hours of receiving the email saying that I passed the interview/essay, I received an email saying the PFT would be offered tomorrow morning (which was today). I went this morning and passed the PFT!! All ages are held to the same standard when applicants. Just wanted to share that with you! Thanks again for helping me along this journey. Visit www.fbiinterviewcoach.com to see how I can help you too! Intelligence Community help mitigate risks before they happen. Intelligence Analysts at the FBI analyze information, provide judgments and make recommendations to support decision makers to take action to mitigate all threats. Having the right information and guidance is critical to protecting the United States. Intelligence Analysts’ knowledge, recommendations and strategies help identify and combat threats, while their collaborative networks with state, local and federal partners and with members of the Intelligence Community help mitigate risks before they happen. Not much time to prepare? Smile, Be yourself, Be imperfect and personable. That is normal, they get your nervous, they’ve been there. It’s ok.
Talk with all of the applicants you can in the beginning, be personable, this will also calm your nerves, get you talking. Have a well thought out story. I missed many good details at times but they knew I was prepared. I even passed on 2 questions, went blank on 1, but mustered up a different story that was actually unprepared. I even had 2 times where they asked for additional detail and had 1 time when they reminded me of the time constraint. Just show them they you put in the hours to prepare in one way or another, they respect it, even if it’s not delivered perfectly. Again, the energy I brought in, and the 5-points upfront allowed me to be imperfect. I slightly re-framed their questions at times so that it could fit the story I wanted to tell, still just trying to show them the factor they were looking for which worked well. I passed my interview and it’s all because of you! Thank you very much! You’re strategies and tough critiques allowed me to do very well on the interview. Your style and your approach allowed me to excel in the interview. I couldn’t have done this without you and thank you again! Best money I have ever spent. THANK YOU so much for your time, insights, and patience working with me and through my stories. I am very glad to have followed my instincts and preparing for this test with you. You brought a lot of value to this experience and to my successful outcome. You also instilled much needed confidence in me through giving me your objective evaluation of my personality, the pros and cons of my background and professional skills. It helped me to adjust and show the side of me that the agency was looking for. I just wanted to let you know that I passed Phase 2. Thank you for your help and for making sure I focused on them getting to know the real me. I passed my fitness test yesterday and will start the background process shortly. I wanted to send you a message. I’m not sure if you remember me, you helped me prepare for my 2016 panel interview for the Intelligence Analyst position with the FBI. I just wanted to let you know that I just graduated from Quantico, and am currently at my new field office. I just wanted to say THANK YOU so much again!! I truly don’t think I would have passed without you. I’m hoping to go for Special Agent in a few years, and I would love to work with you again if the time comes! I’m very happy to report that I have passed Phase 3! Thank you so much for all of your help! Good evening Carole, I just wanted to share the great news I received today. I passed my Phase II interview and written exam! I wanted to tell you how grateful I am for your help throughout the process. From telling my stories out loud during our phone conferences, showing me how to morph my stories and think of them on wheels, to reminding me over and over again to be myself–I entered and exited that interview with confidence. Your guidance was invaluable and I would encourage anyone preparing for Phase II to use your services. Thank you again for the much needed support and confidence you instilled in me! Q. How much time will I need? I’m, not sure how if I have enough time. The answer, more often you will have two to three weeks notice for your FBI interview – sometimes more – sometimes less. – you would begin to work with me after you have your date assigned. You would contact me 4 or so weeks – depending on your life’s schedule – to get the materials to begin your preparation. The greater majority of my clients have not been “ideal.” I have coached with as little as three or four days and still have helped people pass. This is not my preferred manner – but sometimes that’s what life deals. I will support you through email – critiquing anything you want me to look at after our sessions. Some candidates like to send their written stories and have me comment on them. That is part of the deal and I am glad to do that. You helped me prepare for my 2016 panel interview for the Intelligence Analyst position with the FBI. I just wanted to let you know that I just graduated from Quantico, and am currently at my new field office. I just wanted to say THANK YOU so much again!! I truly don’t think I would have passed without you. I really appreciate all the effort you put into helping me prepare. I would use your service again and recommend you to others without a second thought. Here’s a few of the highlights and a bit of advice for your own knowledge and for your future clients. -Helping me convert my stories from technical, overly detailed logic/jargon into smooth stories (really just conversations) that highlighted the core competencies. Once I got one or two of them down, my preparation got much, much easier. A bit of advice to any future clients would be to practice the stories out loud. Sometimes when writing the stories down I felt like I was getting a point across but when I spoke it out loud, I realized I wasn’t. This helped me a ton. Overall, I’d say that my experience appears to fall in line with the majority of your clients that I’ve seen feedback from. The FBI Agents were very professional, and because I felt very prepared I wasn’t nervous, simply told my stories, morphed a few, and went with some off the top of my head. I just wanted to write to let you know that I received an offer for the Diplomatic Security Special Agent Position after passing the oral examination this week. I am certain that the preparation and practice sessions from your program were instrumental in my success. The advice given by former candidates is still accurate overall, even if the format changes every so often. Having plenty of stories available and being comfortable with walking the panel through your thought process during hypothetical scenarios is very important. Many thanks for your guidance and coaching and I wish you continued success in your program. I’ll be sure to recommend your coaching services to others who seek to career paths in Federal law enforcement. Thanks to your program and confidence in me I passed the Phase II portion SASP. I have to admit after I heard about you from one of my former colleague, who is now an FBI special agent, I knew that I would enlist your services when the time came. From our first conversation, you built my trust in you, which lead me to go for the full package. After our first session and listening to that painful recording, it was apparent that my money was spent well. I learned so mush about behavior interviewing techniques, the SAR response structure, and the importance of adding the human element when interviewing. -The way you summarized my “why FBI” from our first session. This really helped me get a handle on how I wanted to present a combination of my personal feelings and skills, as well as the overall process I took to get myself in the interview room. -One thing that I felt myself doing during the interview was trying to create images throughout my stories…a trick I took from you after you explained the importance of being able to “see” things. I got great feedback from this. “If I had it to do over again, I would just come up with 2 good stories for each of the “elements being measured. I want to inform you that I passed my Secret Service panel interview. The panel was very interested in my stories. I had some amazing stories lined up and they stopped writing to listen. I made sure that my result was a positive one. They congratulated me with my accomplishments from my stories. I had 5-6 stories about teamwork, difficult situation, time management, problem solving, communication and most importantly why I want to be a Secret Service Special Agent. My background as a federal law enforcement officer and my IT background surely helped but they want agents that could bring their skills to the table. My program focuses on passing the Phase II and Phase III interview processes. Phase III is a one-hour structured interview that assess oral communication, interpersonal skills, organizing and planning, and analytical thinking. Each panel will consist of three senior-level Intelligence Analysts and all interviews will be recorded. Each panel will read a standardized script to the applicant before the interview begins and score each interview when completed. I wanted to let you know that I just received word that I passed phase III. Thank you for all of your help. I felt prepared and was myself — even though I was extremely nervous! Thanks for all of your help!! !